Assessing natural resource damages often requires the use of nonmarket valuation techniques that were developed for use in benefit-cost analyses. Natural resource damage assessment dramatically changes the context for applying them. Two aspects of this context are especially important. First, damages are to be measured by the monetary value of the losses people experience, including their use and nonuse values, because of injuries to natural resources---a process requiring careful delineation of how the injuries connect to the resource's services. Second, a single identified entry---not generalized, anonymous taxpayers---must pay damages based on what is measured, and evaluations of the measurement techniques take place not in agency meeting rooms but in courtrooms. 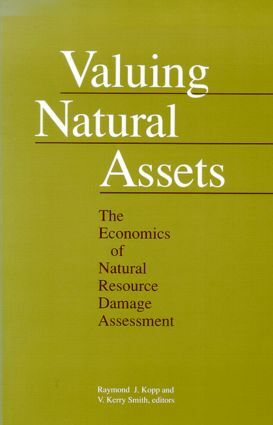 Contributors to Valuing Natural Assets examine the ways in which requirements for damage assessment change how the measures are used, presented, received, and defended. Drawing upon their personal involvement with the process and the research issues it has raised---both in providing analysis for defendants or plaintiffs in damage assessment cases and in writing for academic journals---their chapters reflect individual research programs that temper the rigorous demands of scholarship with the equally demanding standards of litigation.